We manufacture, export and supply highly efficient Comb Binder (SD-2501B21) used for punching up to 25 sheets of 80g A4 at a time. Our Combo Binder (SD-2501B21) features compact design and is very easy to use. It can easily up to 400 sheets of A4 size paper with 3 sections margin. 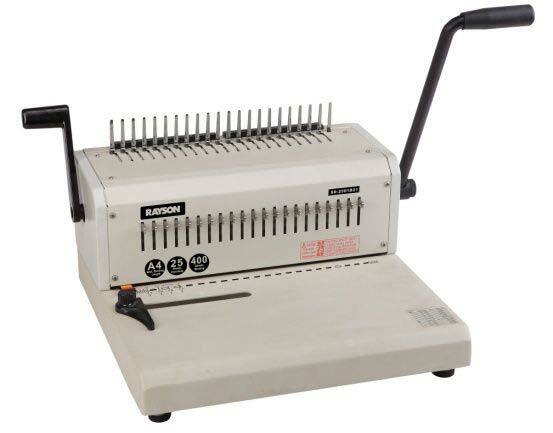 In addition, we provide 21 blades free pin for multi punching along with our Comb Binder. Punching up to 25 sheets 80g A4 per time. Binding up to 400 sheets A4 paper.